This first version of the mobile app is really focused on letting you access your info in your trip. 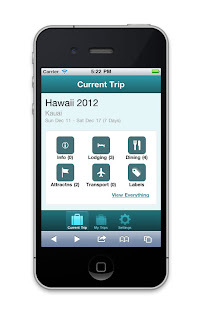 Start on the 'Current Trip' tab where you can see icons for all of the category lists in your trip. 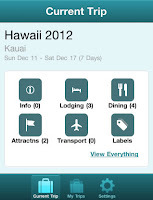 If you scroll down, you'll see a button to take you to your itinerary. 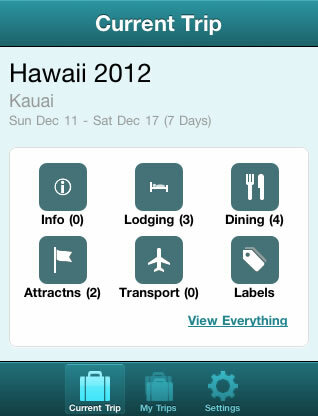 Tap on any of the category icons on the main screen to view a list of items in that category. There, you can sort items by name, date, and votes. Tapping on the action button in the upper right here will give you the option to get directions for items in the list from Google Maps. 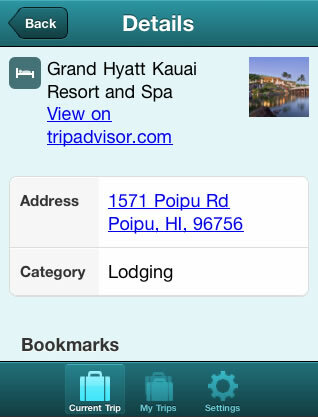 Tap on an item to drill into its details where you can see its address, phone number, bookmarks, and votes, as well as any comments about that item from the trip discussion. 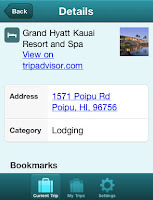 If you tap on the address link, your phone will open Google Maps with this address selected. From there you can get directions from your current location just like you woule when normally using Google Maps. Similarly, tapping on the phone number will offer to place a phone call to that number. 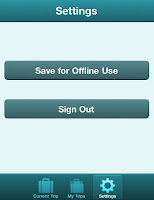 To run the app offline, go to the 'Settings' tab and press the 'Save for Offline Use' button. This will take you to a page which you can save in your web browser's bookmarks, or save out to your phone's home screen. Currently you can't add comments or vote when you're running offline, nor access the content of saved web pages. Also, when you're overseas and want to avoid roaming changes, remember to turn cellular data off in your phone's settings. Then if you connect to the internet via Wi-Fi you're good to go with free data (and Planapple will connect to the network just fine). 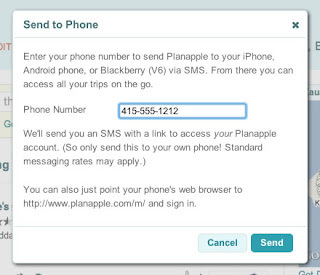 We hope you enjoy the new Planapple mobile app! We're pretty excited about it and are looking forward to adding features over the coming months based on your feedback. So let us know what you think via the Feedback tab on the main Planapple web site (or this blog).